Typically, browsers do not allow downloading multiple files per click. Meaning when a user clicks a link that downloads file, only one file is downloaded. 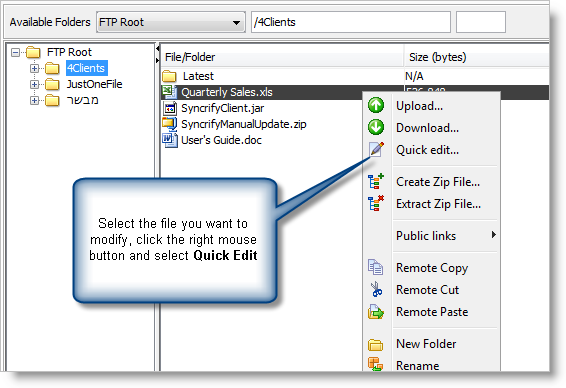 The AJAX version of SynaMan File Manager creates a zipped file containing selected files and allow users to download that zipped file. The enhanced browser does not create a zipped file. 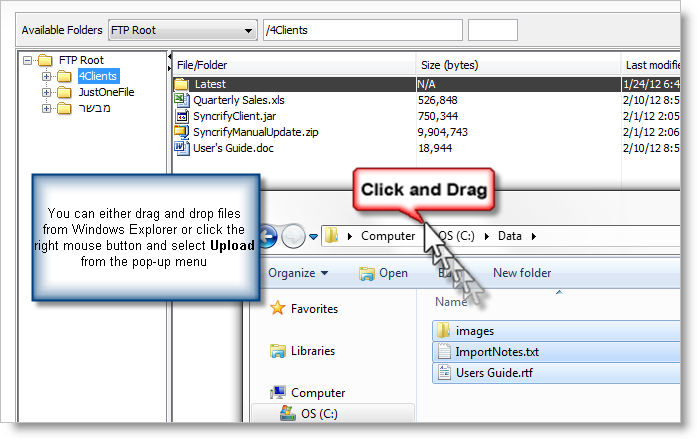 When users select more than one file/folder, files come as-is on the client machine and users do not have to unzip them. 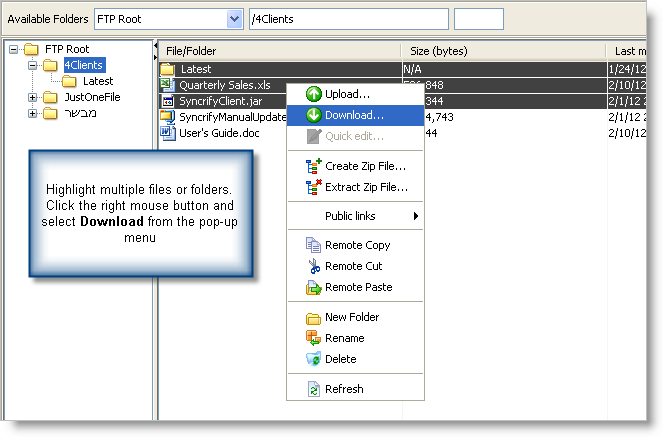 Similar to downloads, users can select more than one file or folder to upload. An easier way to select files for uploading is to just drag files or folders from Windows Explorer to the selected folder. It is common to lose network connectivity when transferring large files. Imagine you want to transfer a 10 GB file and the Internet goes down after transferring about 9GB. The enhanced browser can start where the last transfer failed - meaning it will only upload or download the last 1 GB and not the entire file again. Quick edit is a feature allowing users to quickly modify the contents of a file on the remote machine. For example, if you have an Excel spreadsheet on the remote machine, users can click the Quick Edit link from the pop-up menu, which opens up Microsoft Excel on the local machine. After modification, simply save the document. 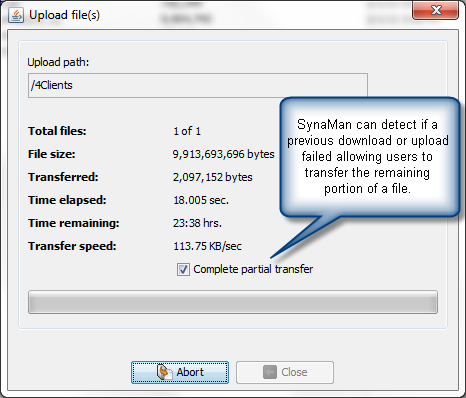 SynaMan will automatically upload your changes to the remote machine. The AJAX version of the file browser is limited to uploads smaller than 2.1 GB, which is a limit in the HTTP protocol. This limit does not exist in the enhanced version. There is no limit on either downloads or uploads. Following conditions must be met before using the Enhanced browser. Java is required on the user's machine.